This book starts on the 10th May 1940 with the Blitzkrieg on Arras and the retreat to Dunkirk. The Dunkirk beaches and his own undignified evacuation are described in some detail and occasional humour. 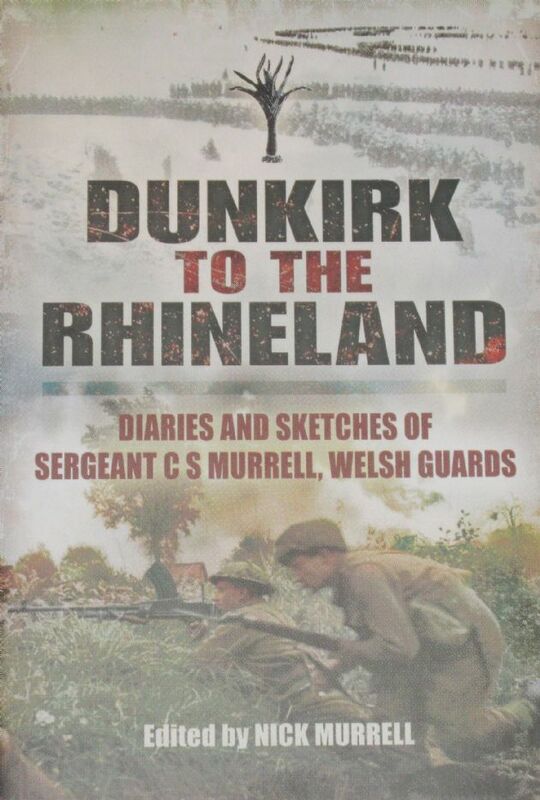 The second part begins on the 20th June 1944 when the 1st Battalion Welsh Guards set sail for Normandy and they take part in the Battle for Caen with engagements at Cheux, Cagny and Colombelles and thence to the Bocage country with a particularly bloody fight at Montchamp. The final element covers the race for and liberation of Brussels, a fiercely fought engagement at Hechtel, Operation Market Garden, Nijmegen and the 'Island', winter in Belgium and Holland and the Rhineland Battle. As a member of the Intelligence Section, the Author was aware of the 'big picture.' Very observant he has a literary style or ability unusual in a ranker. He often writes in his trench whilst under mortar or shell fire and one experiences the fear that he (and millions of others) felt. He describes several near death experiences and the casualties and deaths of his comrades and other horrors of war, sometimes in graphic detail. There are descriptions of hair-raising motor-cycle rides, the fanaticism of the SS, the sadness of lettering crosses of his dead comrades, the ecstatic receptions in liberated villages and towns, culminating in the liberation of Brussels, the uneasy relationship with American troops, the importance of alcohol, and the joy of returning to England!